. . . 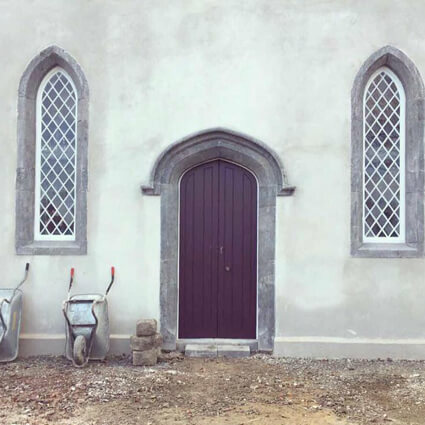 The old home of one of the first Presbyterian communities to settle in Ireland in Cromwell's time has been reborn as an all-inclusive wedding venue for everyone - gay and straight, first-timers and divorced, believers and non-believers - who wish to marry in a church setting but are traditionally blocked from doing so. Because of individual circumstances or beliefs, many people are denied a walk down the aisle, a situation Donna McLoughlin decided to address - and to capitalise on when she bought Woodside Chapel in Castlebellingham, Co. Louth just over a year ago. 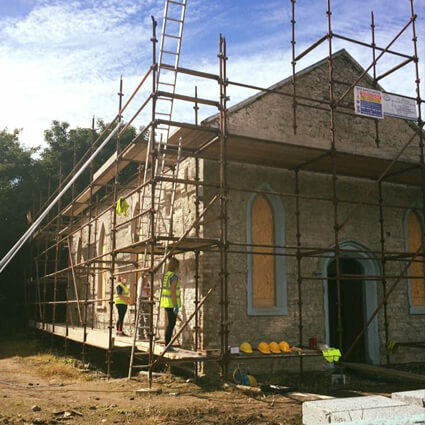 Since she bought the church directly from the local Presbyterian community, she has been restoring it to its past glory with the help of a conservation architect and within weeks the doors will open again as a venue for civil marriages. 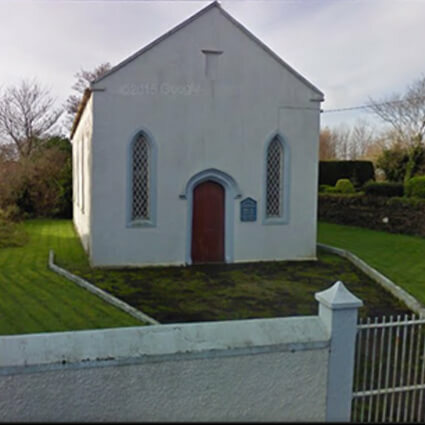 The church ceased to be a place of worship in the 1990s after the congregation moved to a more centralised location in Dundalk. It was falling into serious disrepair until Donna started a hunt for a home in the area for her sister who planned to relocated from California to Co. Louth in her retirement. "I saw that the Presbyterian Church was for sale and I had always loved the building. I walk past it all the time. So I contacted the auctioneers with a view to turning it into a home for my sister," she says. "But as the building was listed, there were an awful lot of restrictions on what could and could not be done to it so it just wasn't possible to turn it into a family home." That might have been that except McLoughlin could not get the church out of her mind. It had an asking price of less than € 100,000 and "it just kept coming back to me," she says. "Then I had my light-bulb moment. It struck me that it would be the perfect place for civil ceremonies, particularly since we passed the marriage equality referendum." She describes the crumbling church as "serene, peaceful and calm. Even though there was a hole in the roof and the windows were falling in and it smelled of dust and cobwebs, I could still imagine how it would look and feel when restored." So she bought it. And set about an extensive - and expensive - project aimed at bringing it back to its former glory. "The idea was to make it perfect for couples who want to walk up the aisle and have their dream wedding even if they are not allowed to access regular churches." The church, which dates back to the 1840s, can accommodate 120 people. "I went through an auctioneer but the Presbyterian community did know what it was going to be and I had no problem with them at all - everyone seems very happy with the idea," she says. While the first ceremony has yet to take place, she already has eight weddings booked in for the months ahead and looking at hosting vow renewals. She has also been approached by a local undertaker with a view to hosting funeral services for people who prefer not to have religious ceremonies. "I am not really expecting to get too many bookings this year as people plan their weddings well in advance but hopefully by next year there will be a lot of bookings. I know that my husband has had a lot of sleepless nights over the investment but I have a good feeling about it," she says. "It is my dream." Want to ask Gerry a question about Civil Wedding Ceremonies ? Simply fill out the form below, and Gerry will get back to you.